For years, the mud-shedding debate raged, Time. 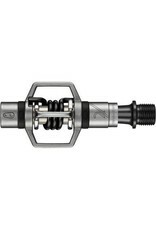 No, Shimano… that is until Crankbrothers introduced their Eggbeater. There are no pedals that work better than these in the slop. 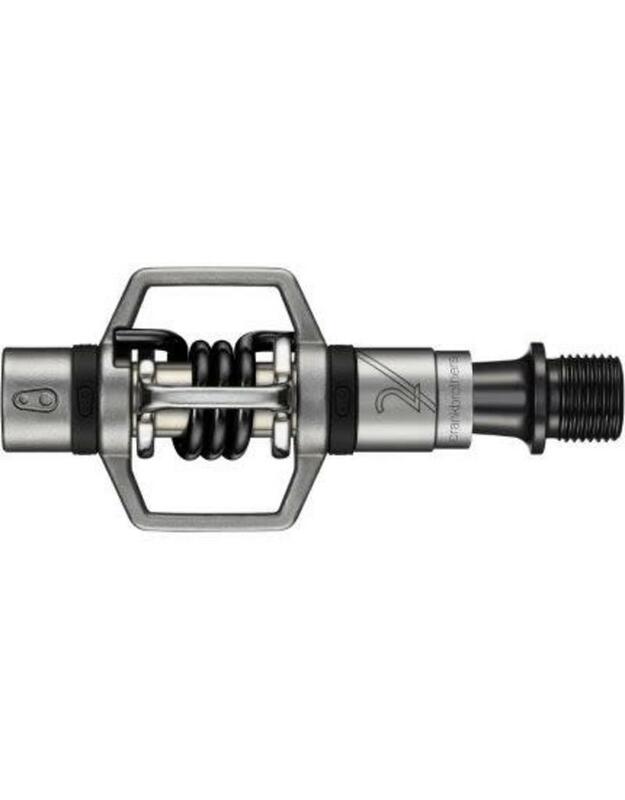 The Crankbrothers Eggbeater 3 Pedals are the newest version of their workhorse Eggbeater SL.Like the older SL, the Eggbeater 3 employs investment cast stainless steel for the main parts of the pedals -- the body and wings. These stainless parts are made to exacting tolerances for optimum performance and they'll never rust! In a change from the SL, the spindle is now forged from super-strong chromoly steel, meaning that anyone can use these as there's no weight limit.Eggbeaters are also some of the easiest-to-use clipless pedal systems around. Thanks to the four-sided wing of the Eggbeater, it's literally impossible to not clip in with lightning quickness as soon as the bottom of your shoe hits the pedal. The Eggbeater wing rotates either forward or backward under the pressure of your foot to quickly and smoothly engage the cleat bolted to the sole of your shoe.The brass cleats for the Crankbrothers Eggbeater 3 Pedals are small so they recess flush with the tread on the bottom of your shoes for easy walking. They're also designed for two release angles -- 15° or 20°. The release angle depends on which cleat you bolt to which shoe. Crankbrothers recommends the 15° setting if you're new to clipless. Otherwise, the 20° configuration will give you greater mobility on the bike without the worry of an accidental release. Needle and cartridge bearings will keep the Eggbeater 3 Pedals spinning smoothly -- a great improvement from the old bushings. And when the time comes for an overhaul, keep in mind that nobody else's pedals are as easy to service as Crankbrothers' pedals are. Shims to protect your shoes are included as well as all the hardware you'll need for installation.